Regardless of how the season has gone up until these two teams meet the matchup of the Florida Gators and Kentucky Wildcats is always a special one and always a game you’ve got to circle on your calendars. 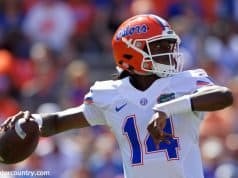 With the Wildcats coming into Gainesville with a 17-3 record and a #7 ranking in the AP Poll this is a chance for the Gators to get back on the national radar with a victory and have a signature win under their belts, something that has alluded them up until this point in the season. 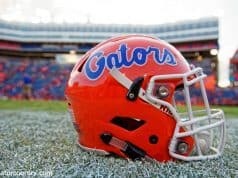 It definitely won’t be an easy matchup for the 12-8 orange and blue but it never is in what is the SEC gauntlet. Here’s what to expect going into Saturday’s game. Mike White has actually had some pretty good success against Kentucky in his time at Florida and the Gators have gone 3-1 against them in the past 2 years. Kentucky did win both matchups in White’s first year at Florida (shout out to the Brandone Francis-Ramirez and DeVon Walker roster) to make it 3-3 for Coach White but the recent success has been encouraging. I will say though, given the fact that Kentucky’s roster turns over so much every year it’s not like there’s a certain group of Wildcat personnel White has figured out, he’s been able to adjust and get the upper hand against some (obviously) super talented squads. White is going to need a bit of that magic on Saturday and it should be noted that assistant coach Darris Nichols is on the scout and it was his scouting reports that helped the Gators’ conquer the Wildcats twice last year. Here are how things went in last year’s matchups. Turnovers were the story of this one as Florida only handed over the ball 7 times while Kentucky turned it over 17 times. Both teams struggled to shoot and this one came down the wire. Chris Chiozza was the MVP with 13 points and 8 rebounds and it was enough to get the edge. Florida got out to an early lead, was up 48-33 at the half, and never looked back. Jalen Hudson had a spectacular game with 22 points and it was his shot making that broke down the Kentucky defense and softened them up for Egor Koulechov (16 points) and Keith Stone (12 points) to get theirs. Turnovers played a factor in this game too as former Gator commit Shair Gilgeous-Alexander coughed it up 5 times, many in key moments that allowed Florida run outs. What can be taken from last year’s matchups? Again, with so much roster turnover it’s always a little tough to extract information from previous years but I’d say the trend of Kentucky turning the ball over is one to pay attention to. Currently 174th in the nation in ball security the Wildcats aren’t terrible in that area but Ashton Hagans, a freshman point guard averaging 2.3 turnovers to only 4.3 assists, could be prone to some errors. John Calipari hasn’t taken many grad transfers in his time at Kentucky but he dipped into the market this offseason in picking up big man Reid Travis, a player that will be familiar to the Gators after they played against him last season at the PK80 while he was with Stanford. 6’8”, 250 pounds and probably one of the strongest players in college basketball, Travis is an absolute unit who had his way with Florida’s frontcourt on his way to 23 points even though his team fell to the Gators 108-87. His touches are significantly down coming to Kentucky but he still makes his presence felt on nearly every play by creating tons of contact trying to carve out position on the block and fighting for every rebound. A rare veteran presence on a Kentucky team, he’ll be a player to watch out for. Kentucky’s Keldon Johnson played at Oak Hill Academy with none other than Florida’s Keyontae Johnson and this will be the first chance for the K. Johnsons to battle in college. Just as Keyontae has impressed at Florida, Keldon has been excellent at Kentucky leading the Wildcats in points with 14.4 per game while also contributing 5.1 rebounds and hitting threes at a 42.6% clip. He’ll be one of many matchup issues for the Gators as at 6’6” at the small forward spot he’s likely going to be guarded by the much smaller KeVaughn Allen. Allen will hopefully be able to use his quick feet to beat Keldon to spots but if he wants to shoot jumpers it will be tough for Allen to contest them. Hypothetically it would have been awesome to match the similarly sized Keyontae onto him but given the injuries in the frontcourt he’ll be stuck guarding bigs down low. Big men have always been the cornerstones of John Calipari’s teams and this year’s iteration is no different with the previously mentioned 5th year senior Reid Travis and 2nd year PJ Washington. When it was announced Washington would forego the NBA draft to come back to Kentucky it was a bit of a surprise and the Wildcats are now benefitting from a 6’8”, 230 pound monster at the power forward spot who is providing 13.4 points while controlling the glass with 8.3 rebounds per game. Most teams would have an issue matching up with a player like that at the center spot but given the fact he usually plays power forward he’s even more of a problem. When he gets out there with Reid Travis the Gators are going to have their hands full trying to protect the paint and without a lot of big men on the bench to come in and help out it will be up to the guards to double down quickly and try to get the ball out of there. 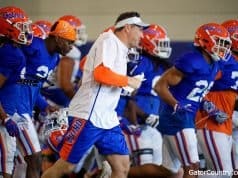 Keyontae Johnson will be giving up size for sure but when the Gators go to the bench it will Jalen Hudson coming out to play the 4 and he’s going to be really outmatched physically. This could be a game that Dontay Bassett and Isaiah Stokes get out for more minutes, possibly with the Gators playing bigger than they have all year with one of them out alongside Hayes, but foul trouble could play a major role as well. Johnson, Bassett, and Stokes all have been committing fouls at a high rate this season and tasked with some difficult matchups against Kentucky it will be likely they’ll all pick up fouls quickly and the Gators can’t afford to bench all of them. Oh, right, and I should probably mention that former 5-star Nick Richards, a 6’11”, 245 pound sophomore is also getting more into the rotation as of late for Kentucky and 6’10”, 240 pound 5-star freshman EJ Montgomery has also gotten his feet wet and is playing more recently. As you can imagine, this whole Kentucky-is-bigger-than-Florida situation is also likely to have some big implications when it comes to rebounding. The Gators just got pounded on the glass by TCU and Ole Miss who both happen to be nowhere near as big as Kentucky and that makes Saturday’s matchup even more concerning. Currently 8th in the country in offensive rebounding the Wildcats are going hard after every miss and it will be all hands on deck for the Gators if they want to secure defensive rebounds. With all the 5-star recruits Kentucky gets there is usually one that slides under the radar of the national spotlight and for me that’s Ashton Hagans, a point guard who is one of the best defenders at the position in the country. At 6’3” with long arms he’s got excellent size for the position and is a one-man press defense in the way he can guard an opposing ball handler 94 feet. He will not make things easy on Andrew Nembhard and he could control the pace of this game defensively singlehandedly. How Nembhard handles the ball pressure he’s going to see from Hagans will be a storyline to watch. Kentucky’s size makes this a really challenging matchup for Florida. Any missed shot that turns into a 50-50 ball is likely to go Kentucky’s way and I’m sure they’re going to be pounding it inside to challenge Florida’s interior. Riding a 7-game win streak that saw them take down some good opponents in Auburn, Mississippi State, and Kansas they’ll be riding some momentum and it will be up to the Gators to stop them. 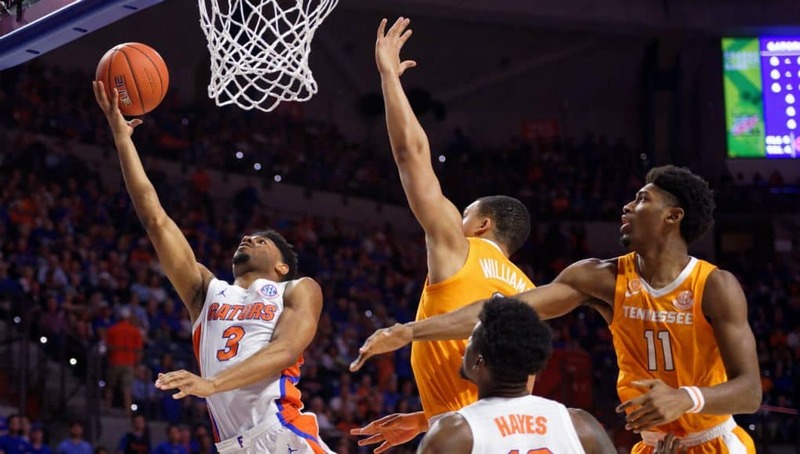 If the Gators can generate turnovers with their defensive pressure and hit shots on their home floor they can definitely take this game down to the wire but it will certainly be a challenge against a Kentucky team perfectly suited to pick on the Gators’ roster holes.